Welcome to a very special Oregon football website created for a particular type of Oregon Sports fan. This website is dedicated to serving what we call the “Next-Level” fan who wants to learn a little about Oregon football, (but not as much as a coach) and be entertained in the process. This is a more discerning fan who not only wants the news and information, but this FishDuck.com reader wants to ponder it over and discuss it all with other readers within a safe internet environment like none in the world. What is most amazing is how this small niche’ site was again in the Top 1% in the World for pages read among all active websites globally in 2018. (As confirmed by a third party source Alexa.com, an Amazon company) While there are many sites larger, there are few worldwide that actually had over 3,000 pages a day read on average as FishDuck.com did in 2018 between our current articles and the 12 sections of the Oregon Football Repository. Three components comprise of what this site strives for and presents to the public as unique, and the first is our content consisting of six articles every week, (every day but Saturday) with regular contributions by Mr. FishDuck himself. These are new Analyses, Talent Evaluations, Recruiting and what we are really known for is our Editorial-Opinion articles by guest coaches and sage observers of Oregon Football that generates tremendous discussion and reflection. In the future these six will be Premium articles available for a very small subscription fee, and there will be an additional three articles per week on Mondays, Wednesdays and Fridays for free. These nine weekly articles are generated in the mode of what the readers of FishDuck.com want; they love to ponder the issues of our Beloved Ducks and discuss them. Our articles are designed to inform and entertain, and will be geared toward this typically older and more mature professional crowd who like to debate and banter about these topics. (As this serves as a fun diversion and entertainment from the rest of life) We welcome comments and discussion from everyone on all articles! Our own forum will be available soon and we intend to make it easy on Oregon fans searching for the most interesting and newest Oregon Sports News occurring that day. We will have article links up from other sites every day, and will thus save you a ton of time going to so many sites and searching. We will be a go-to location for the best of opinion and Oregon Sports News items on the web, and the best part is that all discussion on the forum will be GUARANTEED TROLL-FREE! Mr. FishDuck does advocate subscribing to all the sites as a way to support those who work hard to provide this news on a rapid minute-by-minute basis. We discuss this news from the other subscription sites only after 24 hours has passed, so subscribe there to get the Oregon Sports News immediately and then come over here when we post it a day later to discuss it safely. Oregon Sports News that is on free sites will be available in the Our Beloved Ducks Board immediately after publication on those sites. Our Beloved Ducks Board: The Only GUARANTEED TROLL-FREE Oregon Forum on the Web! THEY get it…if they’re civil, they’re welcome! These commenting rules are strictly enforced, and thus readers and article writers know they can assert their opinion, even if unpopular, and not experience the nastiness seen on the web these days. This Duck sanctuary is rare, and the comments below the articles are a good as the articles. We actually had a stretch recently of nearly 2,000 comments below the articles over a month and I did not have to delete a single comment. That never happens on the web, and thus what makes this readership and this new forum special and unique. We cannot guarantee that a Troll won’t show up and won’t make an offending remark, but we can guarantee that we will act immediately to remove the comment and at the second offense–blacklist the offender from ever posting again. I have been on Oregon message board/forums for over 20 years and nobody keeps their site clean but for a month or two at a time. At FishDuck.com, we have been clean of the Trolls since the summer of 2017, and with that track record–we are very committed to remaining that way. See a nasty comment insulting you on this site? Rest easy knowing it will be gone soon, as all writers, readers and anyone who comments will be protected on this site from the banality that reigns on the internet. FishDuck.com is clean and safe for all as it has been for nearly two years. There is no other site on the web like this! 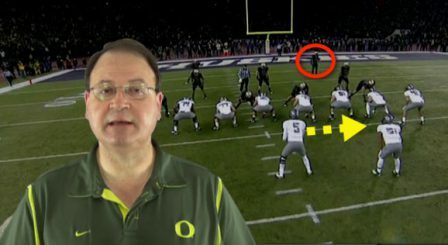 Charles Fischer wanted to learn about the Spread Offense when Oregon adopted it with Coach Mike Bellotti in 2005, but none of the media explained it for six years, so he started the site, (FishDuck.com) began consulting with coaches at different levels and made an instructional video about the Chip Kelly–Mark Helfrich Spread Offense nearly every week for a year. After about 50 videos the Pac-12 stopped him, (another story) and the site continued to do analysis about the team with single play videos and GIFs. The videos have been viewed 1.8 million times, and even now on average—they are being viewed every minute of the day and Charles hasn’t made a new video in over six years. 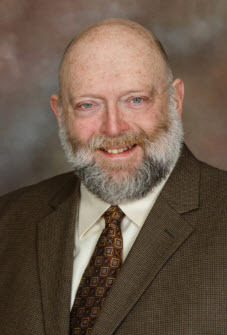 We all have other professions, as Fischer is an Investment Adviser and Planned Giving Consultant by day and although the site is not designated as a non-profit … it has operated that way since we began seven years ago. 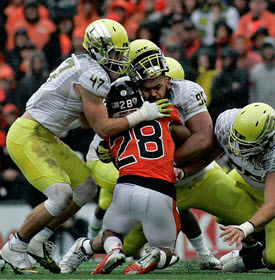 We just want to keep learning football—we have over 350 analysis articles about the Oregon Spread offense and the Oregon defense and we now have the “Analysis Library” available to find out more about the offenses and defenses at Oregon. 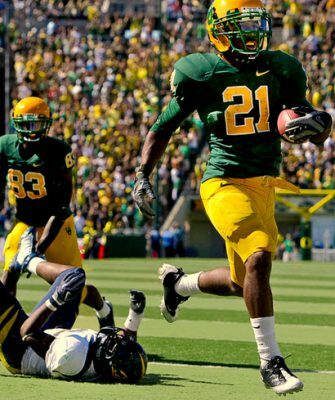 FishDuck.com now has an incredible Oregon Football Repository that has over 1,000+ articles and videos about Oregon football in 12 separate categories. It is an amazing resource for Duck fans and you can learn about it here, as well as in the Toolbars on every page. Coaches have been able to win because of this site… whether it was small high school team who had the best seasons in their history after they found the site, or the Semi-Pro team who was a .500 team until they found our site. A year later they were rated No. 1 in the country among over 2,000 teams. Coaches come to us from across the United States and we’ve been contacted by coaches for Club Teams internationally in Canada, Mexico, England, Scotland, Poland, Germany, (many more),….I’ve found articles translated into tons of different languages, (the most interesting was Romanian) received emails in Portuguese from Brazil and listened really hard to the Southern drawls from coaches Louisiana and Texas. We have had coaches contribute articles to the site from Hawaii all the way to upstate New York. We have made a permanent contribution to the sport of football; do this—Google the words, “Inside Zone Read” or “Outside Zone Read” and FishDuck.com articles are right at the top of the first page out of over six million listings. We had an article about boring Zone Blocking read over 20,000 times last year, and it was created over four years ago! We built the site for fans, but coaches have used it for Pee-Wee football right up to through colleges. It has been a labor of love and for those who want to learn more football—FishDuck.com is a good resource, thanks to all the coaches and analysts who have given their time and expertise as a volunteer. 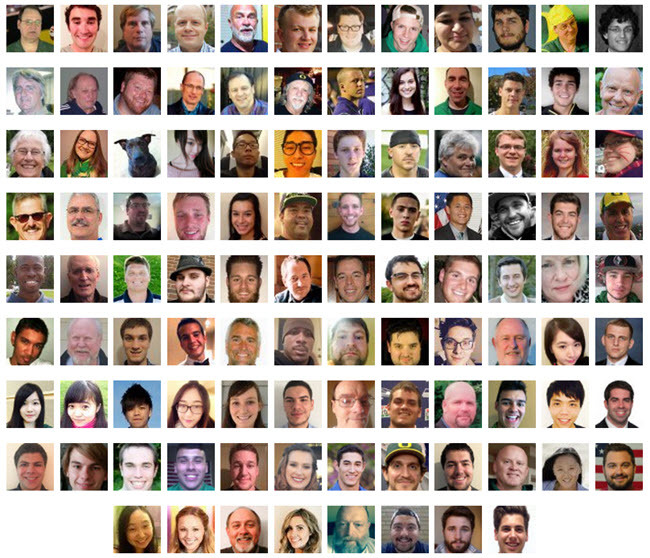 Without intending to–FishDuck.com has become an ambassador of Oregon football to coaches and fans around the world as over 50 countries have readers visiting the site each month. 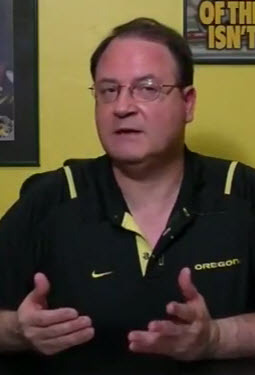 Charles is available for interviews and in this one was anointed by the host as “The Godfather of Oregon Football.” This site has been costly for the principal (Mr. FishDuck) and although it does not pay for itself presently, the 12 sections of the Oregon Football Repository remains free to all. We are University of Oregon Media Credentialed as we have our reporters in the Press Box with photographers on the field at Autzen. Our focus is telling the story of the games while providing some analysis beyond the usual vanilla reporting available, and our young reporters/writers have been linked at major newspapers and even ESPN Regional sites, which increases our exposure and enhances the careers of these sharp young writers. 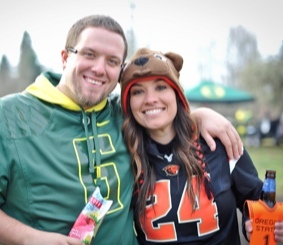 Yet it is the people who come to FishDuck.com to learn and enjoy Oregon football who make it a success. We have become a premium Oregon Football site—not from the cool features, but from the quality of the readers who comment and participate. Be a part of the comments below the articles and in the new forum coming, and enjoy the writing and discussion about Oregon Football that you will not find anywhere else.